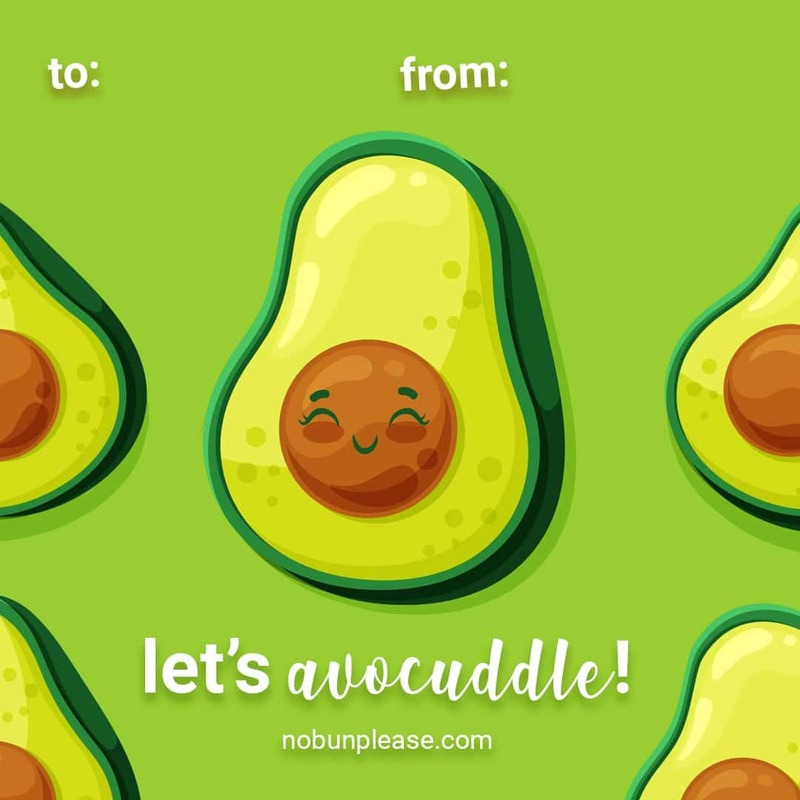 What better way to celebrate Valentine’s Day than with some Keto-friendly valentines! 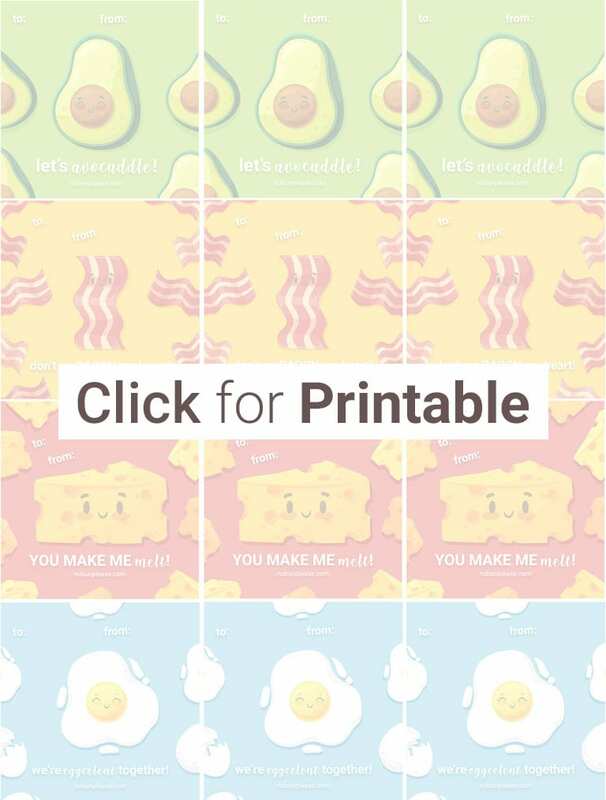 I put together a handful of different designs that can easily be printed out or shared across social media. 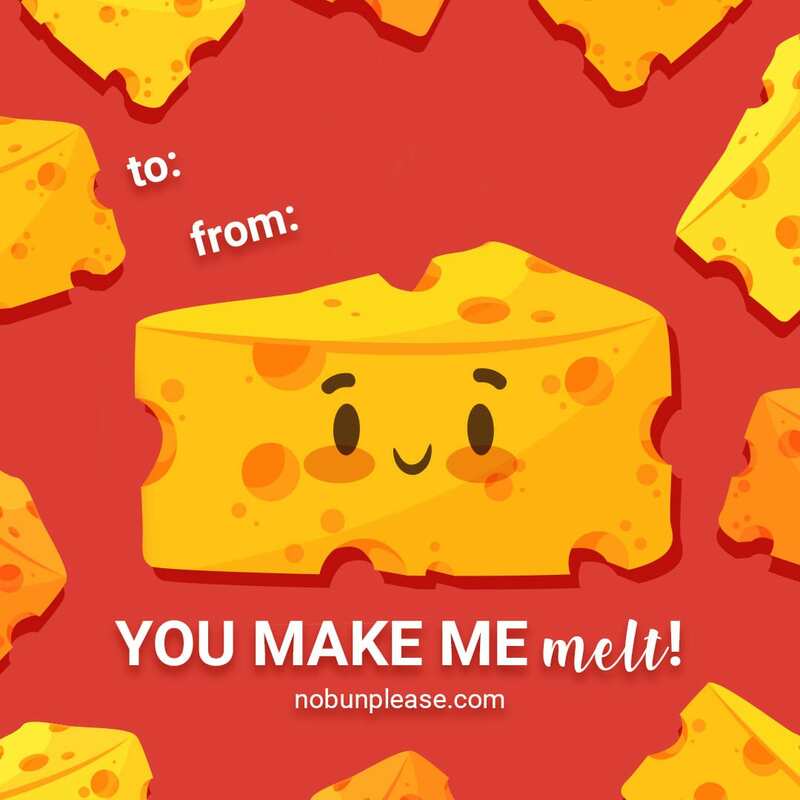 For a full sheet of all valentines, you can just click and print copies of the document below! 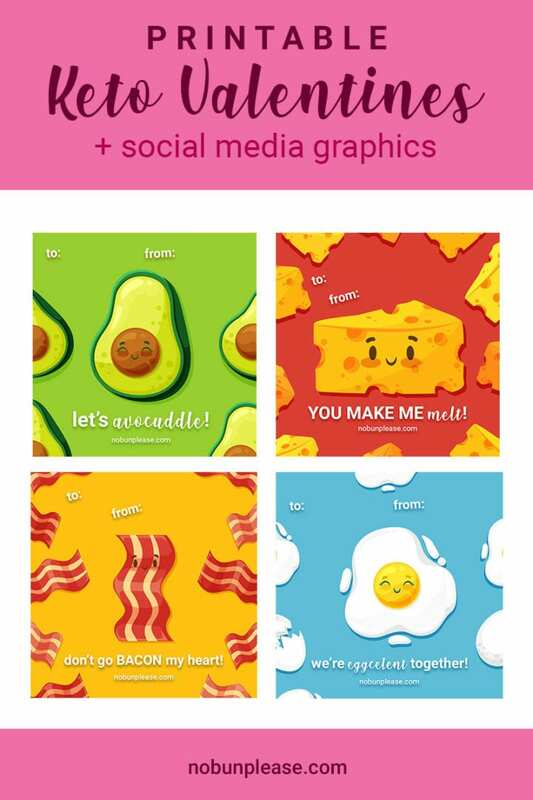 This print-out features 12 valentines with 4 different designs. 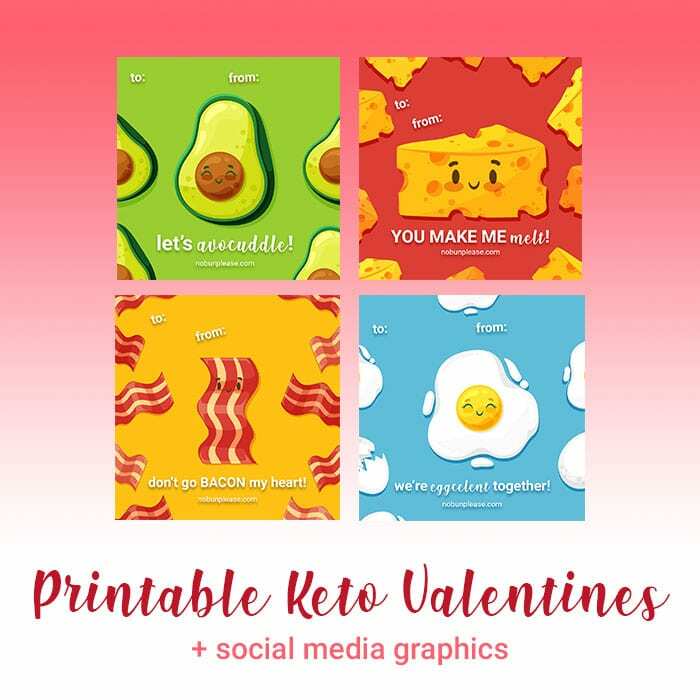 Clicking the image above will take you directly to the printable PDF for a full sheet of Keto valentines. You can also save and print the other graphics, if you’d like all of one type or a custom mix. The avocado is a visual often depicted in the Keto lifestyle for a multitude of reasons. Primarily, they are known for their awesome fat and electrolyte content. To download for social media: just tap and hold your finger on the image and select Save Image. 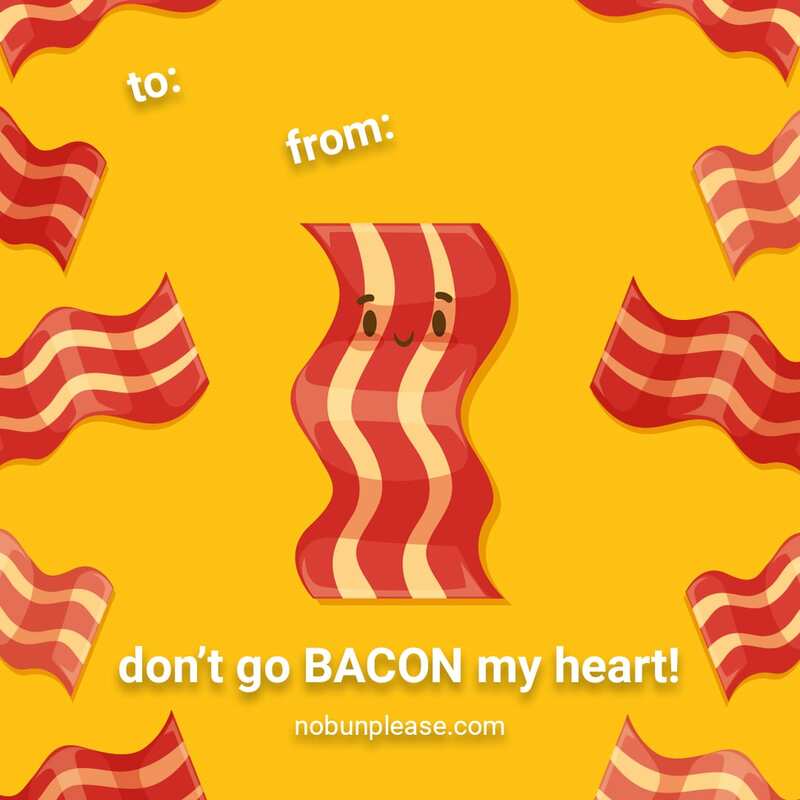 Bacon is another food that is highly represented in the Keto community. While demonized on most other eating plans, bacon fits perfectly into a low carb, high fat lifestyle. 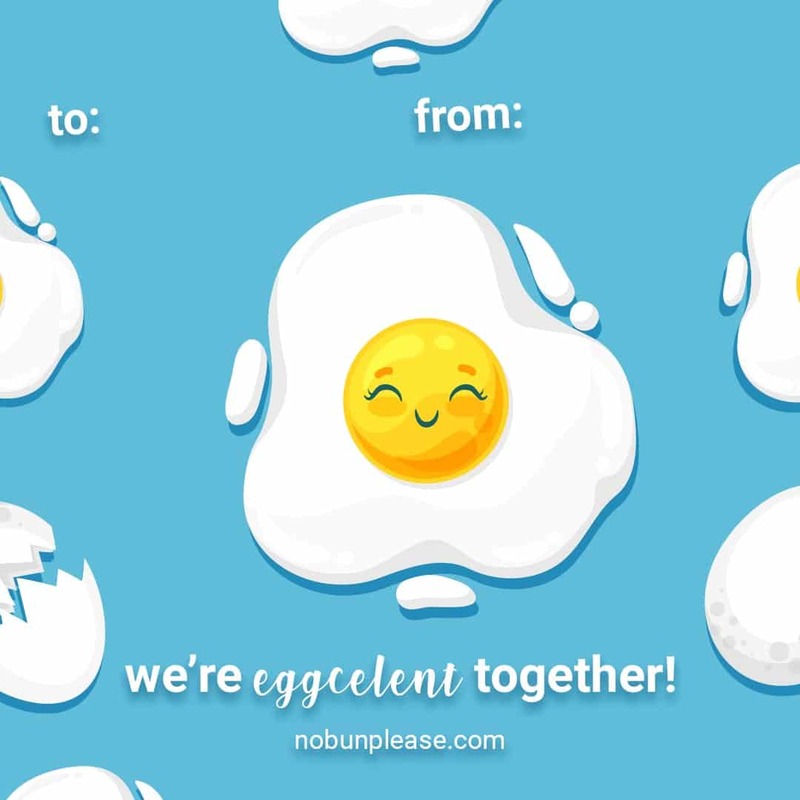 Finally, the last valentine is dedicated to another low carb staple — the incredible egg! What are your plans for Valentine’s Day? Comment below!